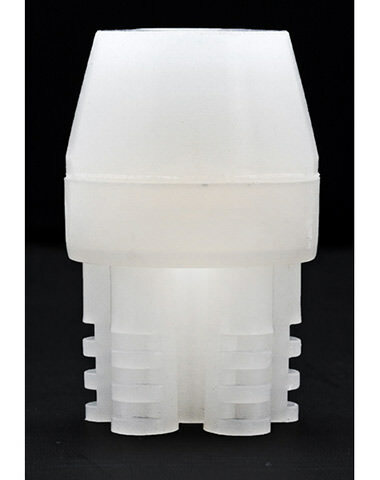 The Pharaoh's Diffuser is an inexpensive way to increase your hookah's performance. Designed to fit over the end of your hookah down-stem, the Pharaohs diffuser breaks your hookah smoke up into tiny bubbles, increasing the smoothness and flavor of it. Included with your Pharaoh diffuser, you get two flexible gaskets that will adapt to any down-stem, even those with extra-large "flares", like Khalil Mamoon Hookahs and Nammor Hookahs. Simply slip the grommet over the end of your down-stem, place the cap on it, and submerge it in the water in your hookah vase. You'll instantly notice improved smoking! Pharaoh's Diffuser has a average rating of 0 stars out of 5 stars based on 0 reviews.